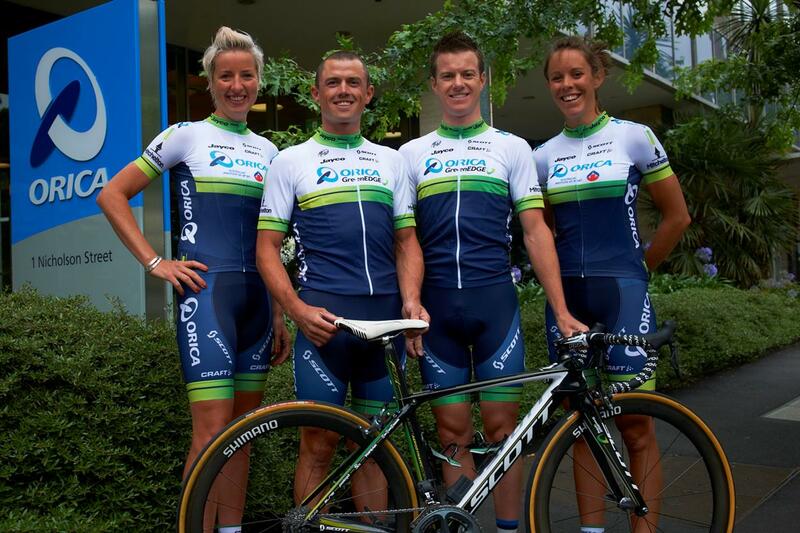 Orica-GreenEdge has unveiled its 2014 team kit, made for the Australian squad by Swedish clothing manufacturer Craft. The broad central green band and white panels on the sides have gone, replaced with a thinner green strip and a plain dark blue panel beneath. In all, it’s a more subtle take on the kit without being wildly different. Both the men’s WorldTour team and women’s Orica-AIS squad get the new kit, which will get its race debut at the forthcoming Australian national road championships. Craft will supply the team with all of its racing, training and leisure clothing for 2014. Orica-GreenEdge fields a very strong team at the Tour Down Under, starting on January 21. Simon Gerrans, Daryl Impey, Luke Durbridge, Matt Goss, Matt Hayman, Michael Matthews and Simon Clarke make up the team’s line-up in the opening WorldTour race of the season.